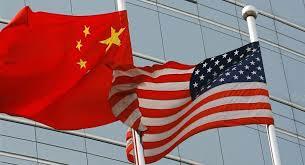 The comments came after the US government said on Wednesday that it will adopt an enhanced national security review process to deter Chinese acquisitions of "sensitive" US technologies, a softer way than levying specific restrictions on investments from China. Ministry spokesman Gao Feng said China does not agree with the US changing foreign investment conditions and using national security for the same, and the country will watch closely the legislative progress and assess its potential impact on Chinese firms. Zhou Shijian, an economics professor at Tsinghua University, said the Trump administration is trying to put more pressure on China in the fields of trade via proposed investment restrictions, as some US companies said China has "unfairly acquired US technologies via joint ventures and other unfair conditions of high-tech US companies. The US government’s decision has also destroyed all the efforts made by the two sides previously to promote the US-China Bilateral Investment Treaty, even though it can effectively cut investment restrictions, including equity caps and partnership requirement, ensure fair treatment of foreign companies, and reduce burdensome operating conditions. Zhu Feng, dean of the Institute of International Relations of Nanjing University, said adopting national security as a pretext to restrict foreign investments will challenge the world order in a way hitherto unseen. "As the US has also put both investment and trade burdens on its traditional allies such as the European Union, Canada and Mexico, it is time for the world’s major economies to strengthen ties and jointly stand up to Trump’s ’America Alone’ strategy. Otherwise, more countries and economies will suffer," Zhu said. "The proposed foreign investment policies of the Trump administration are shortsighted and counterproductive," said Lyu Xiang, a researcher at the institute of world economics and politics of the Chinese Academy of Social Sciences. Lyu said they go against both global interests and the long-term interests of the two countries involved. The consequences of these actions might not be what the White House expects, and in the end, they will only serve to hurt the US itself. Acquisitions and green field investments from China to the US have fallen to $1.8 billion in the first five months of this year, a drop by more than 90 percent compared with the same period last year, the lowest in seven years, according to Rhodium Group LLC, a New York-based research firm.